Kicking off today is CinemaCon in Las Vegas, so expect plenty of first looks and new trailer arriving throughout the week. 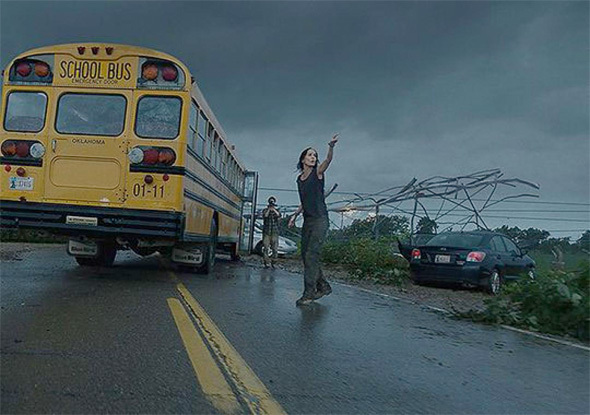 The latest comes from Warner Bros. looking to hype up their disaster thriller Into the Storm before the first trailer arrives later this week. 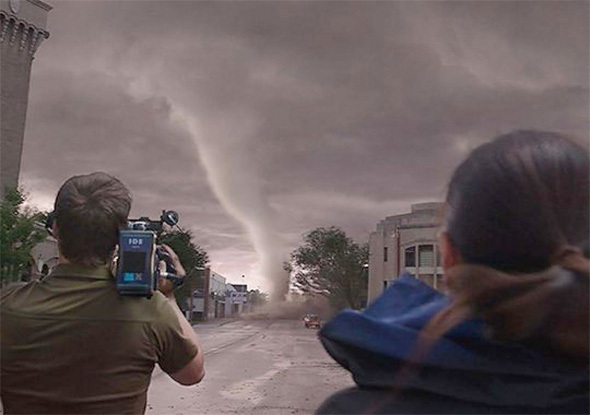 Directed by Steven Quale (Final Destination 5), the film sees a small town devastated by a whole slew of tornadoes the likes of which haven't been seen before. It's like Twister on steroids, but without a big name cast to back it up. The most recognizable name is Richard Armitage (from The Hobbit) along with Sarah Wayne Callies, Matt Walsh and more. Look! Into the Storm is directed by Steven Quale and written by John Swetnam (Step Up: All In). In the span of a single day, the town of Silverton is ravaged by an unprecedented onslaught of tornadoes. The entire town is at the mercy of the erratic and deadly cyclones, even as storm trackers predict the worst is yet to come. Most people seek shelter, while others run towards the vortex, testing how far a storm chaser will go for that once-in-a-lifetime shot. Richard Armitage, Sarah Wayne Callies, Matt Walsh, Nathan Kress, Arlen Escarpeta and more star in the film which Warner Bros. and New Line Cinema release on August 8th this summer.